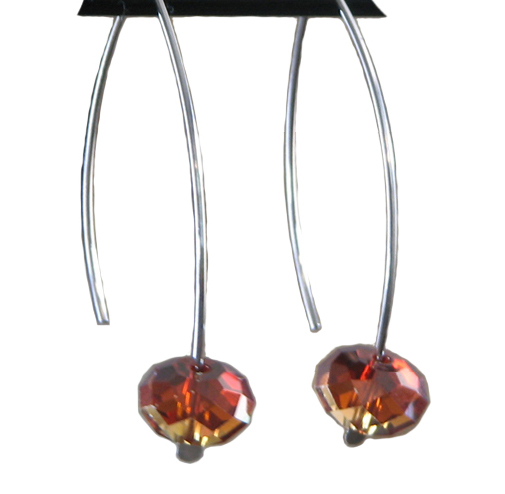 Distinctive long earwire marquis style earrings with 12mm Swarovski crystal accent beads. The long earwire is distinctive in appearance as well as making these earrings much less likely to accidentally slip out. 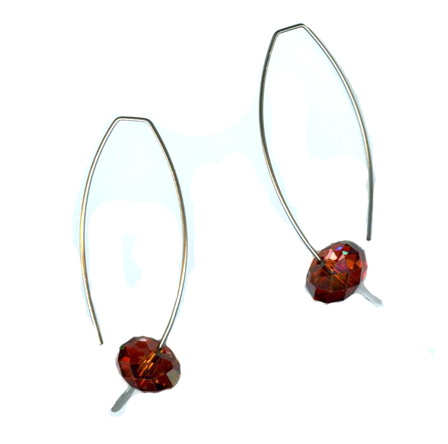 These earrings are made with Grade 1 Titanium wire which has been milled and hammered to form these unique earwires. Titanium is not a ductile metal such as silver or gold and Linda has performed the impossible by creating these beautiful titanium earwires.